NOTHING BUT MEDIA LIES. The latest massive porkie making the rounds is that Jeremy Corbyn can’t win elections. OH YEAH? Who said? 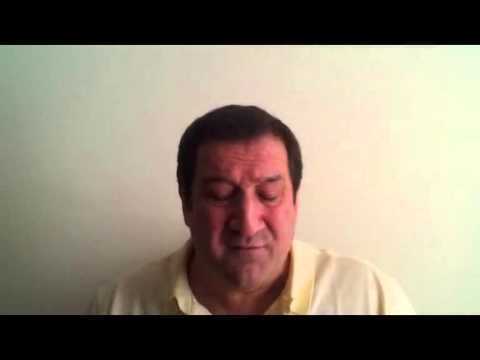 The Zionist controlled British Bullshitting Corporation & the rags. Right. Here’s one for you – in his constituency of Islington North Corbyn inherited a majority of 4,456, which is now 21,194! He’s one of the few Labour MPs whose vote increased between 2005 & 2010 when he added 5,685 to his majority. CAN’T WIN ELECTIONS EH? And the reason why Blair has both barrels out against is because he knows if it’s down to Corbyn, he’s as good as toast. While Cameron’s there Blair’s alright, though there’s only so much Cameron can stretch a lie & as far as I’m concerned he’s already tore the arse out of this one. All this nonsense about the Chilcott Inquiry. I just saw Gordon Brown announce the Inquiry when he was Prime Minister saying it would last no more than 12 months. Ask yourself? Who has the power to slow down this process? TRY PRIME MINISTER CAMERON! HE TOOK OVER FROM BROWN & HAS BEEN IN POWER EVER SINCE! Yet the media make out Cameron’s pissed off with how the inquiry has taken so long. Believe you me, if you’ve fallen for this then there’s no hope for you. The fact of the matter is if Tony Blair’s a war criminal & that’s an open & shut case, then so is Cameron. Thanks to David Rockerchild for this great caption & the first link. 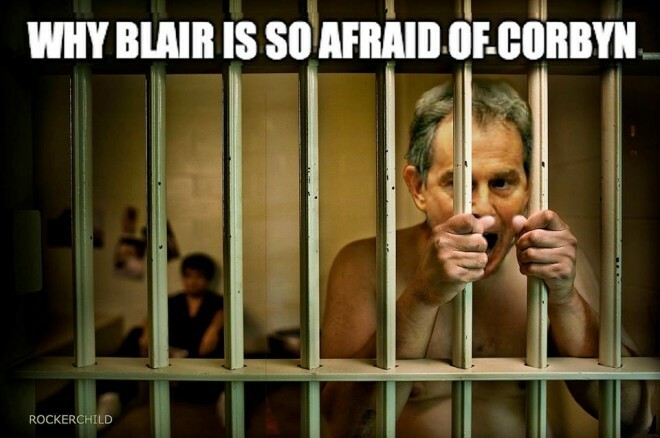 What a day this would indeed be seeing Blair behind bars……. 2 comments	Tony Blair. War criminal.